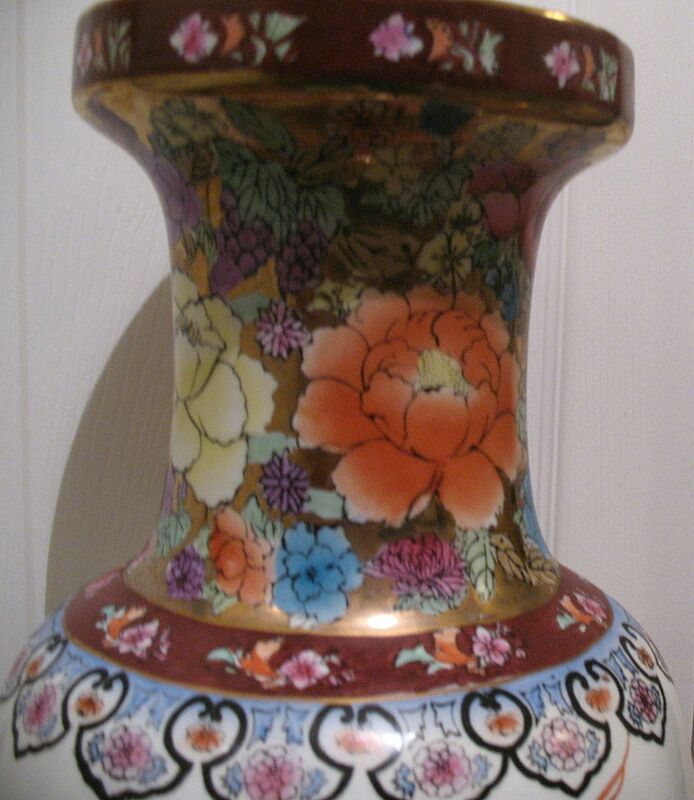 This is a vintage, large floor Satsuma KO Kutani Japanese vase. 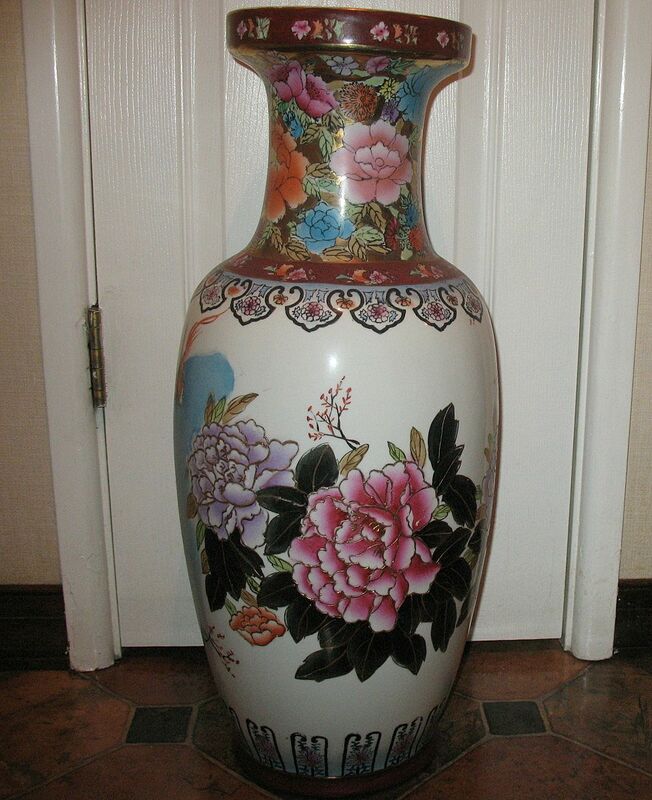 The vase is over 2' feet high and has been beautifully hand-painted with a scenic design including clouds, birds and chrysanthemums. It is also decorated with a variety of florals and other designs with some gold paint and some raised gold painted (moriage) areas through-out. 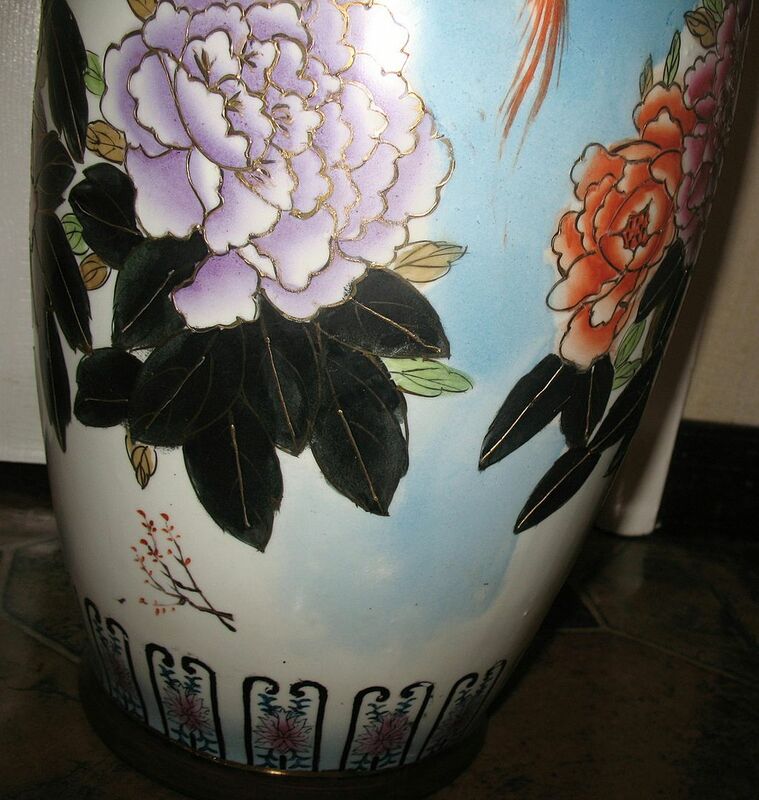 The piece has different designs painted on it which include the sides and back. 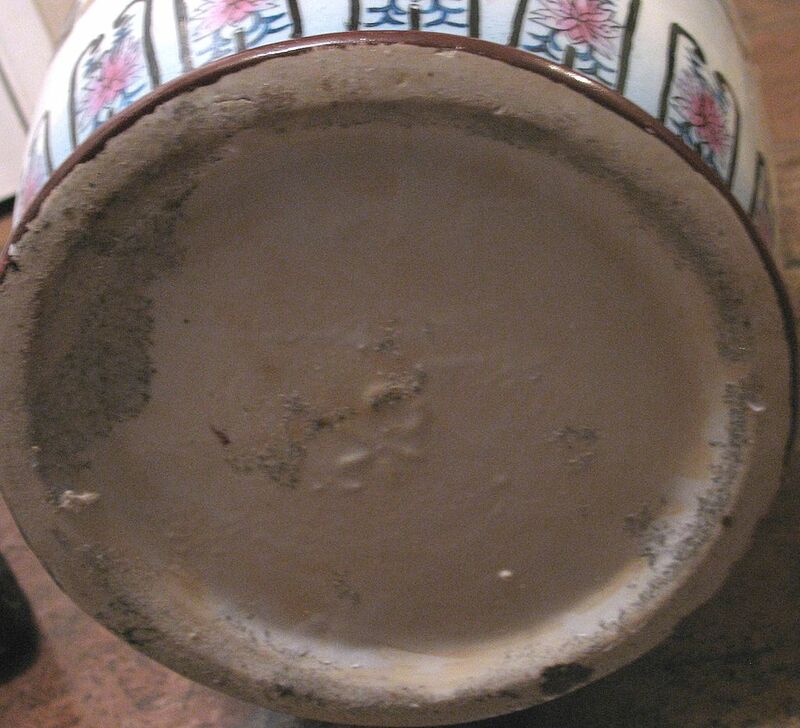 The bottom is embossed with, what appears to be, OK or KO, but it is difficult to make out, which, I believe, is the mark for KO Kutani. It is in good condition.